Direction: West on Rineyville Big Spring Road toward Windsor forest Trace Park Road, First Right onto Deckard School Road. Property is on the Left. 2870 Deckard School Rd, Radcliff KY 40160 is a Home, with 3 bedrooms which is recently sold, it has 1,792 sqft, 0 sized lot, and 1 Car Garage parking. 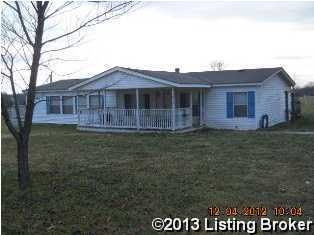 A comparable Home, has 3 bedrooms and 2.5 baths, it was built in and is located at 383 W Vine St Radcliff KY 40160 and for sale by its owner at $ 159,900. This home is located in the city of Radcliff , in zip code 40160, this Hardin County Home, it is in the NONE Subdivision, and COLONIAL HEIGHTS are nearby neighborhoods.